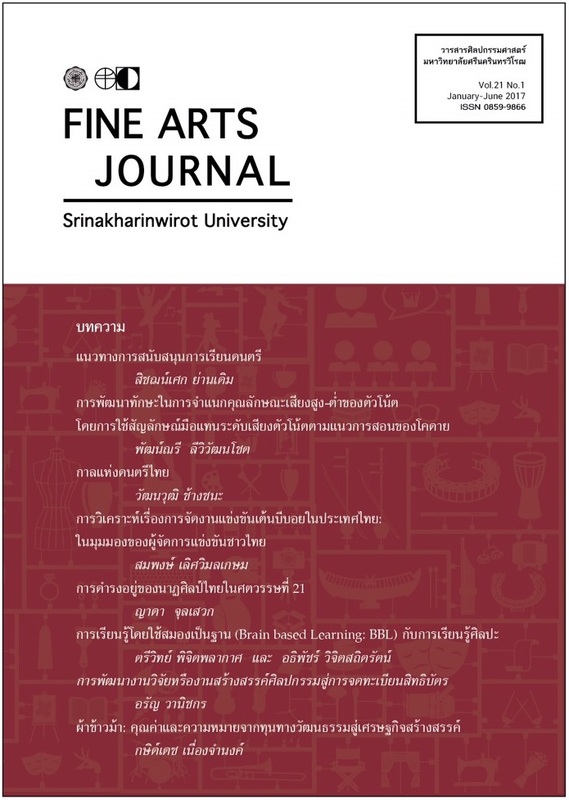 The journal of Fine Arts: Srinakharinwirot University, focuses on the international exchange of knowledge in arts, art education, music, performing arts, and applied arts. Moreover, the articles, which foster the integration of art and culture, are also included. All articles, original researches, concepts, or thoughts were carefully reviewed by trustful peer review system. From time to time, they will be reviewed by international recognized authors. The articles in this journal are considered a publication of proceedings from symposiums and researches.